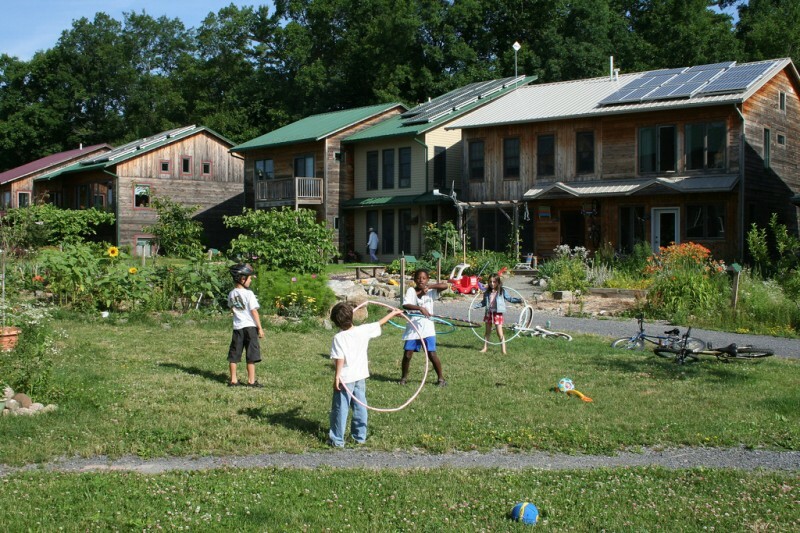 Life at EcoVillage is a dynamic balance between personal and family individuality, and cooperative community. Residents participate in shared work and play, each in their own way, while being mindful of impact on all. 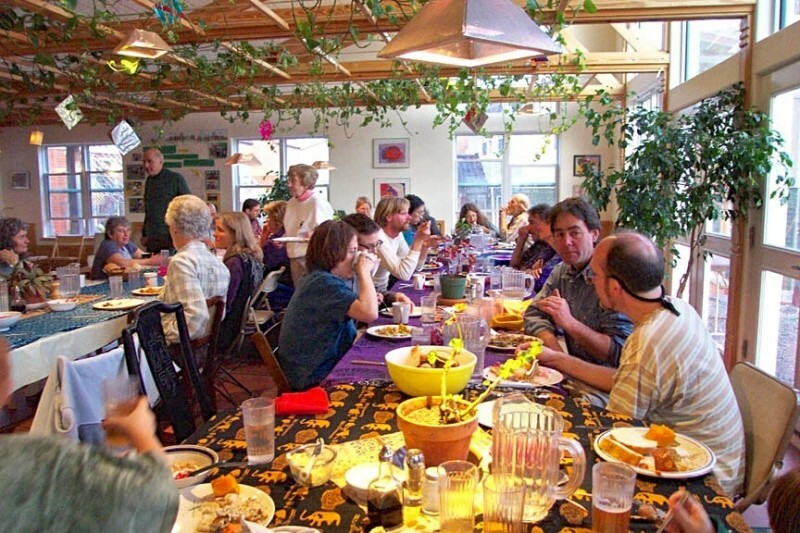 The evolving village culture includes plenty of neighborly support for families in need, various annual celebrations to mark the seasons, and frequent ad hoc parties, music jams, and talent shows. We spend lots of time outdoors, gardening, playing, running, hiking, biking and stopping to chat along the paths. 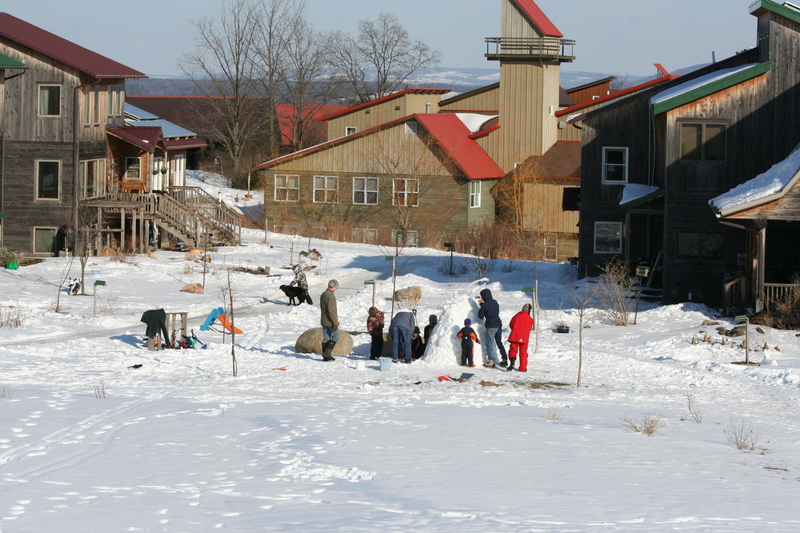 Many of us are actively engaged in the wider community of Ithaca and Tompkins County, which is rich with sustainability, social justice and civic engagement initiatives. We’re finding that living more cooperatively requires a lot of learning and work, but is richly rewarding and well worth the effort. Village residents volunteer about 2-3 hours per week to keep things running smoothly for everyone. 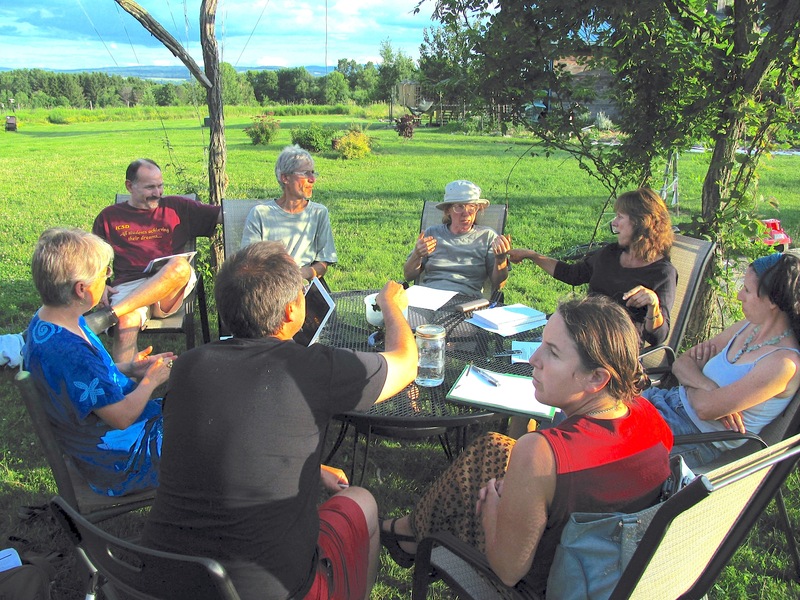 As is typical in cohousing, we make community decisions through a consensus process in each neighborhood, and a Village Association representing all three. Community work is accomplished through a voluntary Work Team system, where residents apply themselves to whichever task areas they have most enthusiasm for. There are teams for Cooking, Dishes, Outdoors, Maintenance, Common House, Finance, Process/Steering, Community Life, and more. When TREE is completed by the Fall of 2014, we’ll be home to about 160 adults and 80 children in the village, for a total population of 240. We range in age from babies to octogenarians. We have families, singles and couples. About a fifth of our residents are retired, and about a fifth are stay at home parents. We have a wide range of livelihoods, and diverse spiritual backgrounds. There are residents whose families came from India, Brazil, Puerto Rico, Japan, Italy, Russia, China and the Phillipines, among other places. While there is some income diversity, most people are middle class. Many of us enjoy life-long friendships with our neighbors, and feel very blessed to live in a community of rich relationships.